Hours after video emerged of Conor McGregor stomping on a cellphone outside a Miami night club, news broke that the UFC star is facing a civil suit related to the incident. 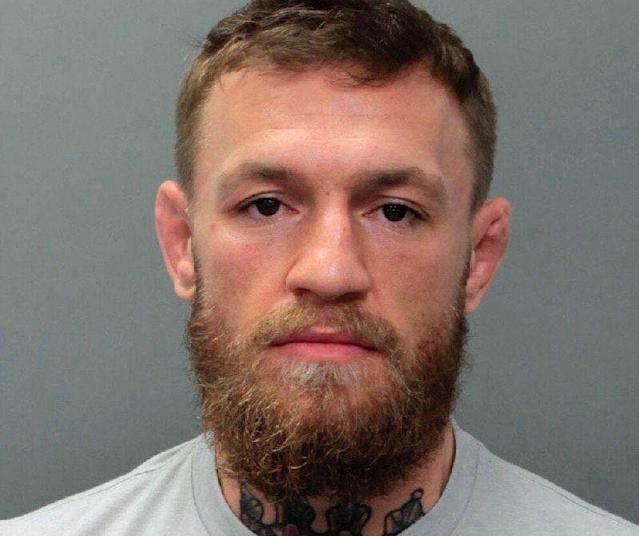 Court records obtained by the Associated Press show that 22-year-old Ahmed Abdirzak has filed a lawsuit against McGregor in a Miami-Dade court seeking more than $15,000 for battery, assault and intentional infliction of emotional distress. McGregor is already facing criminal charges of felony strong-armed robbery and misdemeanor criminal mischief for the incident in which police say McGregor “slapped” Abdirzak’s cellphone on the ground and stomped on it before picking it up and walking away with it. The incident allegedly occurred around 5 a.m. Monday outside prominent Miami night club LIV. Video obtained by TMZ shows the alleged incident. Abdirzak said that McGregor feigned a handshake outside the club before taking his phone and destroying it. McGregor’s attorney dismissed the civil suit, describing it to AP as "a quick effort seeking a payday." McGregor is free on $12,500 bond.